Summer is finally here and it’s time to enjoy the long summer days. Whether you’re hitting the beach or summer picnic it’s important you look gorgeous while having fun in the sun. Today I’m sharing my favorite summer beauty essentials to keep you looking flawless from sunrise to sunset. Vichy Purete’ Thermale 3-In-1 One Step Micellar Solution, $17- I absolutely love this product to remove makeup and cleanse the skin after a long day. It’s very gentle and even removes stubborn eye makeup. Use this before you wash your face at night. I also use it AM before workouts. Add this as part of your beauty routine stat! This is one summer beauty essential to last year ’round. Gold bobby pins, $7 Make your style stand out with a little bling! Secure gorgeous summer braids and waves with this great take on an old classic. The Instyler Max 2- Way Rotating Iron, $98- Who has room to pack both their curling iron and straighter when traveling? This Instyler is the best of both worlds in one! I straightens my coarse hair without excess heat and can give me voluminous beach waves, by wrapping it around the rotating cylinder. The Instyler has completely changed my hair routine I’m spending less time in a hot bathroom and more time having fun. To add volume and texture to your hair try..
Oribe Dry Texturing Spray, $42- It’s a bit pricey, but worth every penny. This product does wonders to add body, volume, and texture. It’s patented polymers also absorb oil at the roots as a dry shampoo. It is the best smelling product I’ve ever used and gives my hair a new life. Pack this for summer weddings! Caudalie Lip Conditioner, $12- This power lip balm is packed grape seed oil, shea butter, and plant waxes to moisturize and protect your lips. It saved mine and help my uber chapped lips heal. Use this alone or under your favorite lip color. It does not contain SPF, so be sure to add. Nip + Fab Hyaluronic Fix Body Gel, $10- Ditch the lotion and try this body moisturizer formulated with vitamin E, powerful hyaluronic acid which bonds moisture to the skin, firms and plumps at the same time. I’ve been using this product for over 6 months and have seen a drastic change in the texture of my skin, especially on my legs. It’s like Botox in a bottle for my body while being lightweight for summer. Hello summer body! Monoi Oil Anti-breakage Luminating Spray, $10- In the summer my natural hair can get dry and dull. I use this spray to product my hair when styling. It adds incredible shine without looking greasy, is lightweight and protects your hair from frizz. Summer beauty approved! 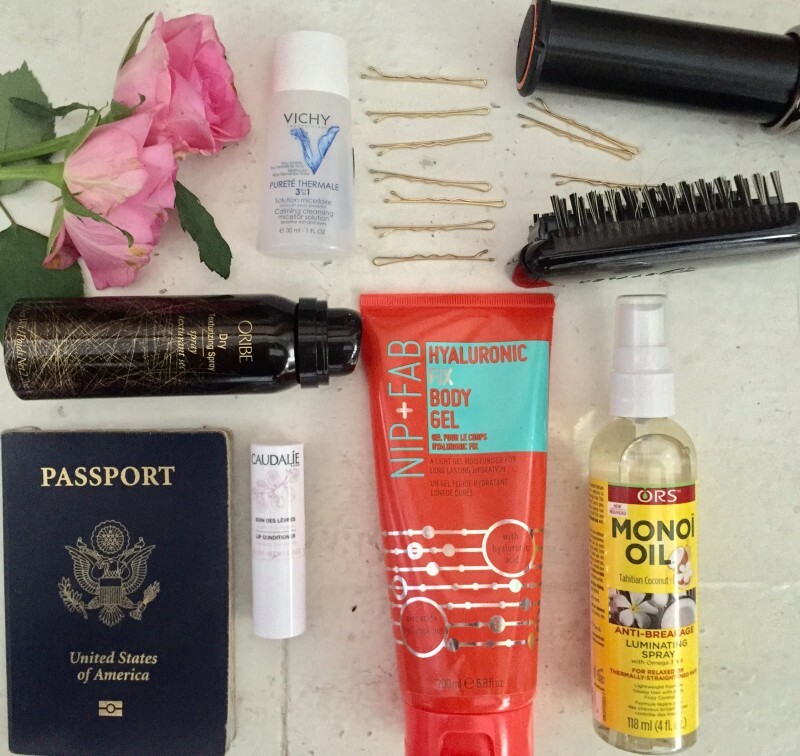 What are some of your favorite summer beauty essentials? Share your thoughts in comments below.